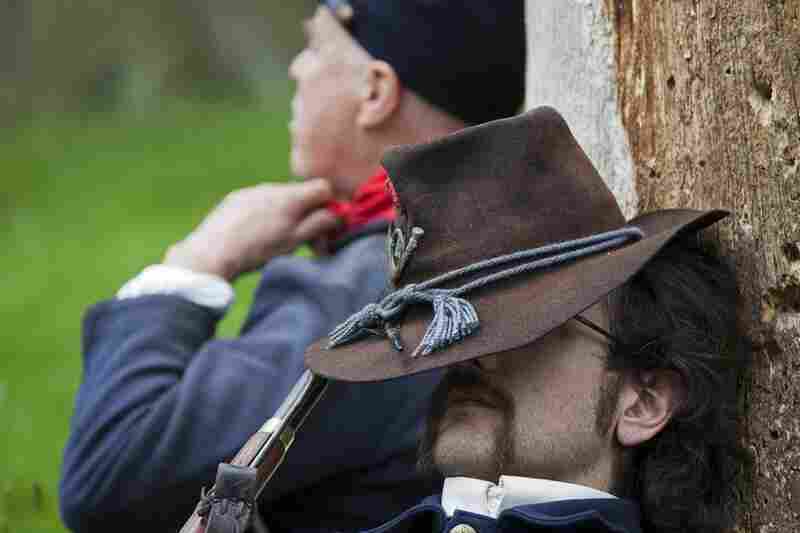 American Civil War Re-Enactors ... In The U.K.? 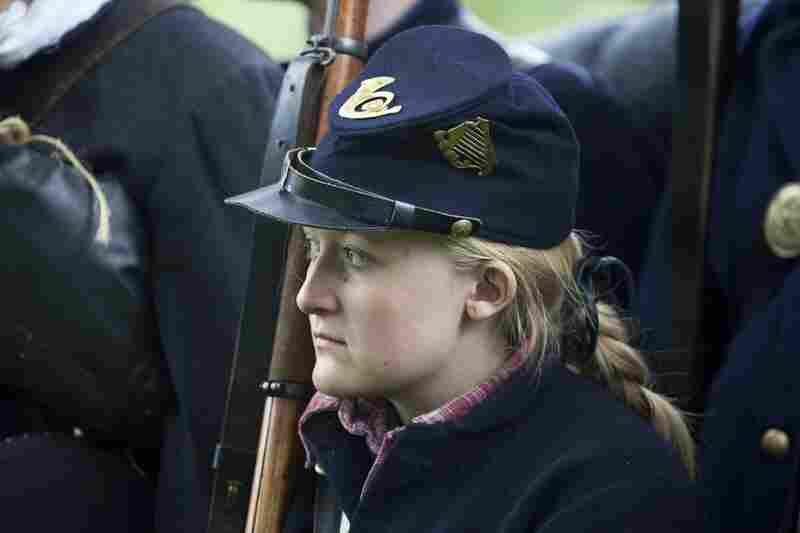 : The Picture Show Civil War re-enactment in America? OK, that makes sense. But why overseas? Photographer Jay Seawell went abroad to find out. 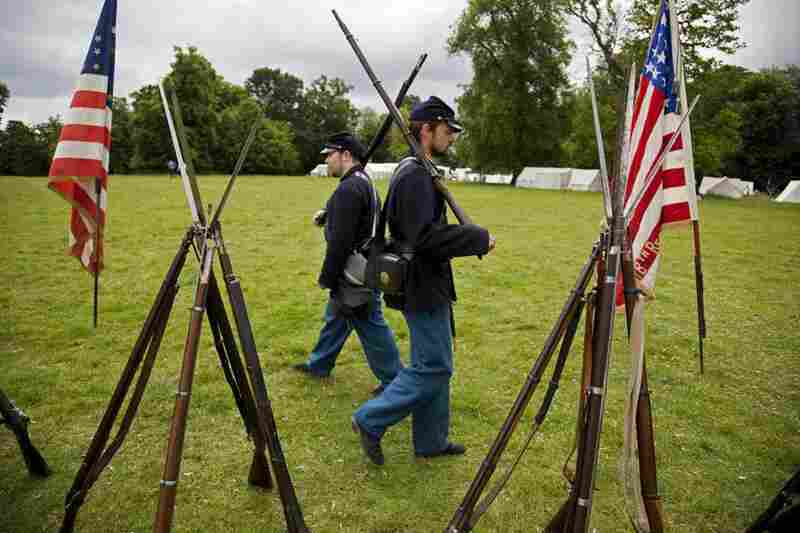 Civil War re-enactment in America? OK. But overseas?? Last year, while on scholarship from Indiana University's School of Journalism, photographer Jay Seawell spent three months documenting the subculture in Britain. According to him, it's not so unusual. 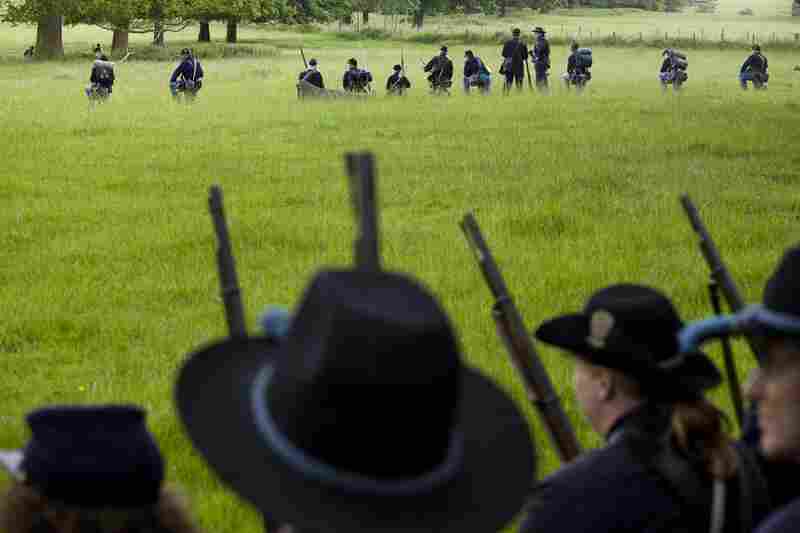 Members of the U.S. Sharpshooters band together during a private American Civil War Society battle at Stanford Hall in Leicestershire, England. 18th Virginia Infantry Cpl. Ray Thompson sits by a fire at the ACWS Confederate camp at Stanford Hall. 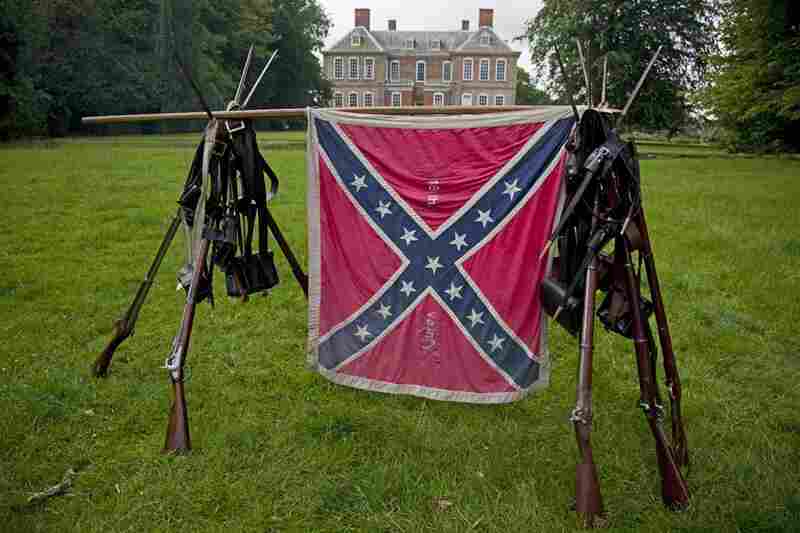 The Confederate flag and arms of the 18th Virginia Infantry stand in a field behind the stately Stanford Hall. The estate has been owned by descendants of 2nd Baronet Sir Roger Cave since construction began in the 1690s. 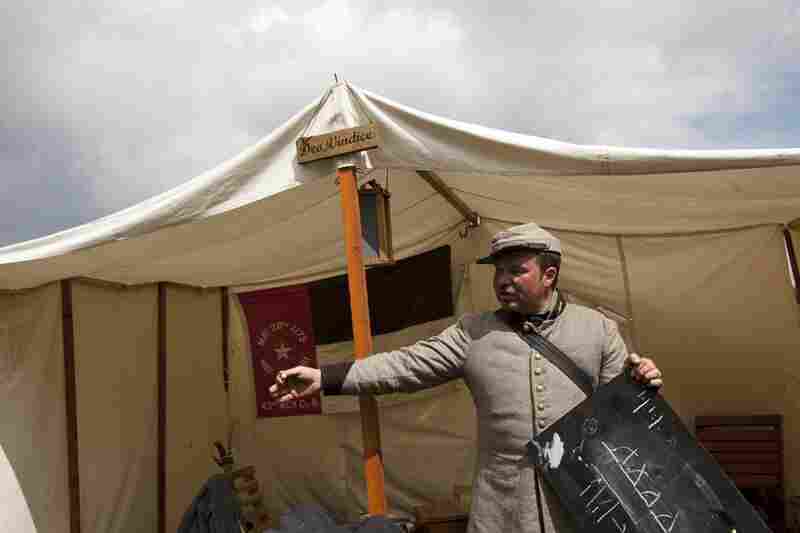 18th Virginia Company G 1st Lt. Darren Bond discusses strategy in a meeting with fellow Confederate re-enactors. Pvt. Charles Elwood rests against a tree before continuing to march into a battle. 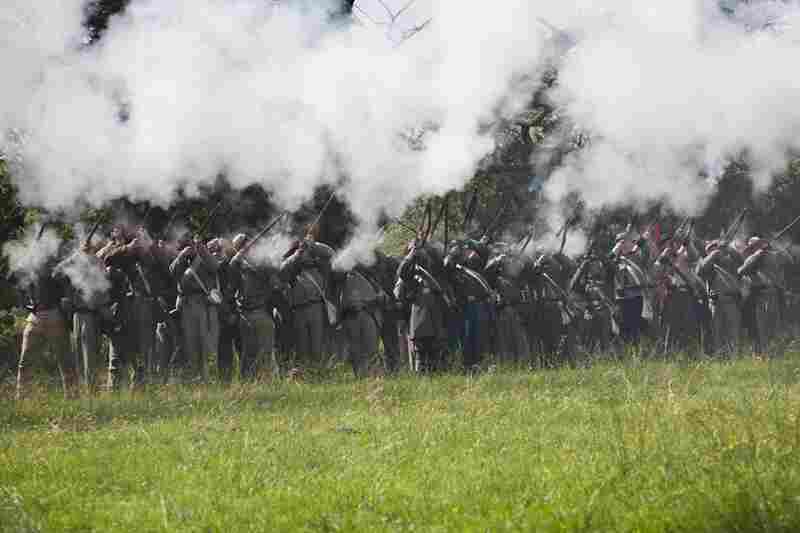 Cannon smoke fills the air during the early stages of battle. The re-enactors use black powder for firing cannons, just as they do with guns. 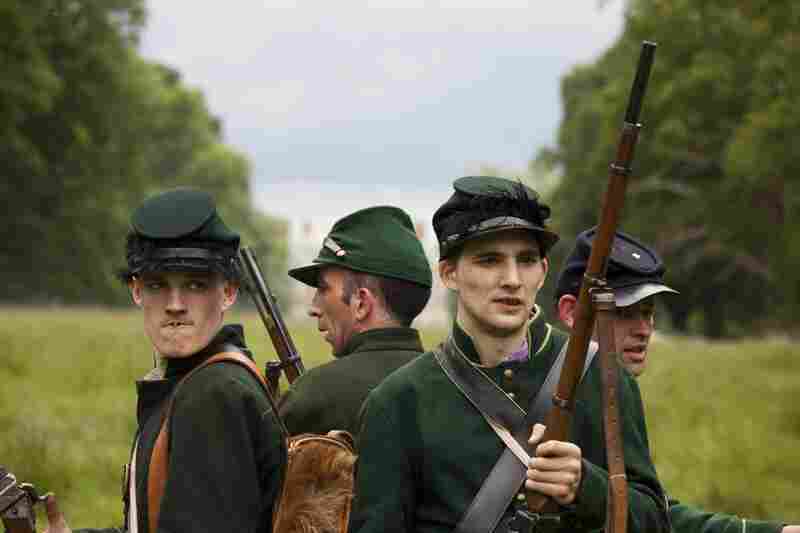 Union re-enactors pause while making their way to a field to fight their "enemy." 19th Indiana Cpl. Tony Radcliffe fights in a battle. 69th New York Infantry Pvt. "Chris Smith" stands in formation with her unit. 118th Pennsylvania Infantry Pvt. Nathan Swinney (left) and 18th Missouri Infantry Pvt. Philip Alderton guard stacked arms. 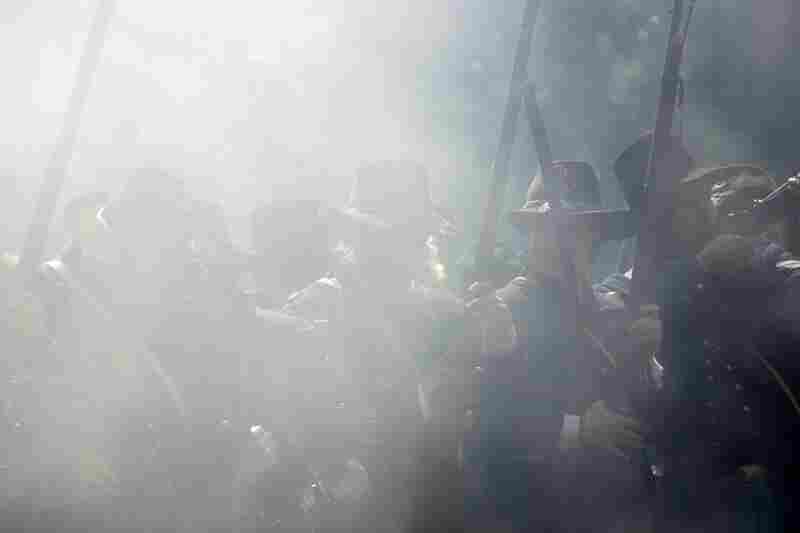 Union re-enactors are shrouded in smoke during a battle. 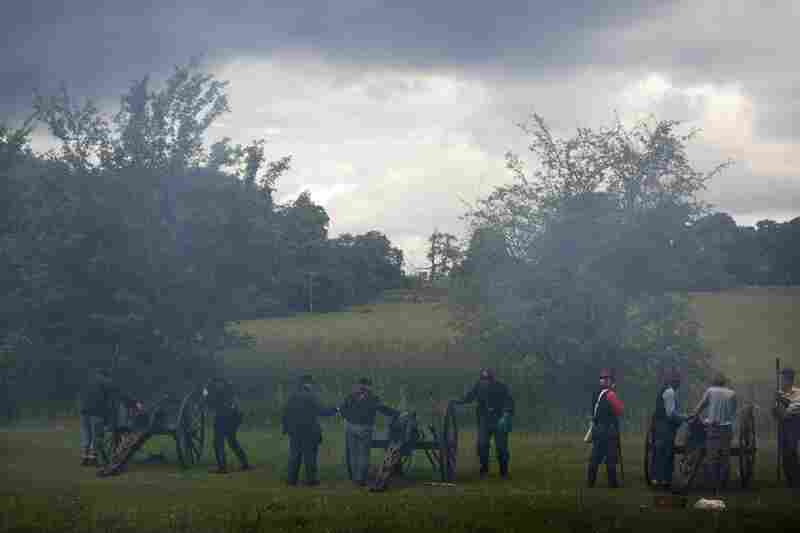 The Confederate Army fires for an audience following a re-enactment for the public at Stanford Hall. 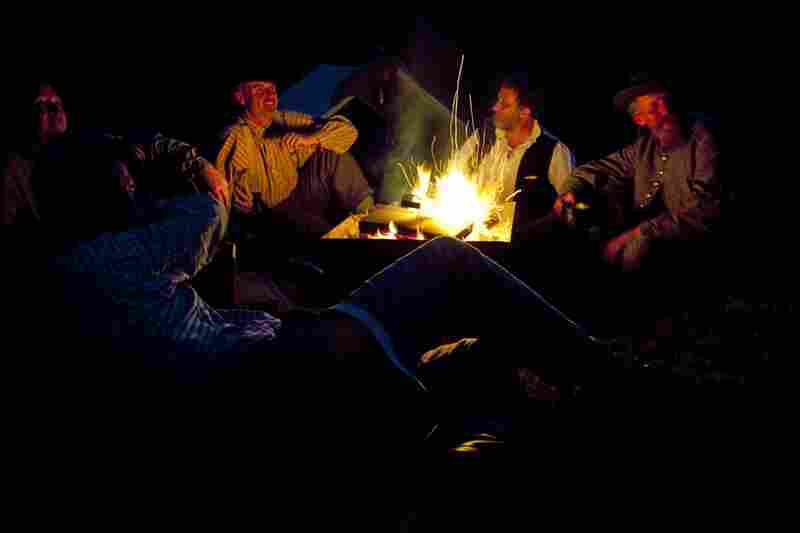 Members of the ACWS 18th Virginia Infantry sit around a fire at their part of the Confederate camp the night before a re-enactment for the public in Market Deeping, England. ACWS reenactors carry instruments during the Market Deeping Carnival parade on the Fourth of July. 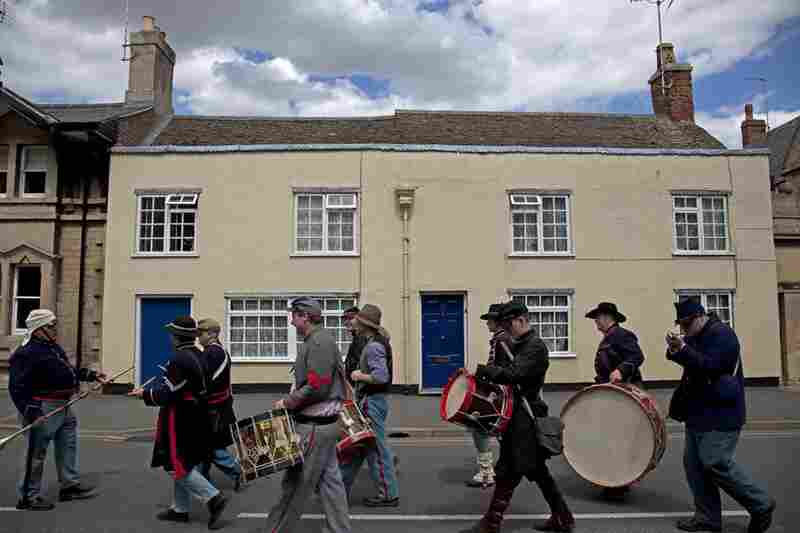 John Fairfield (left), who made some of the drums used at the re-enactment, leads the group. 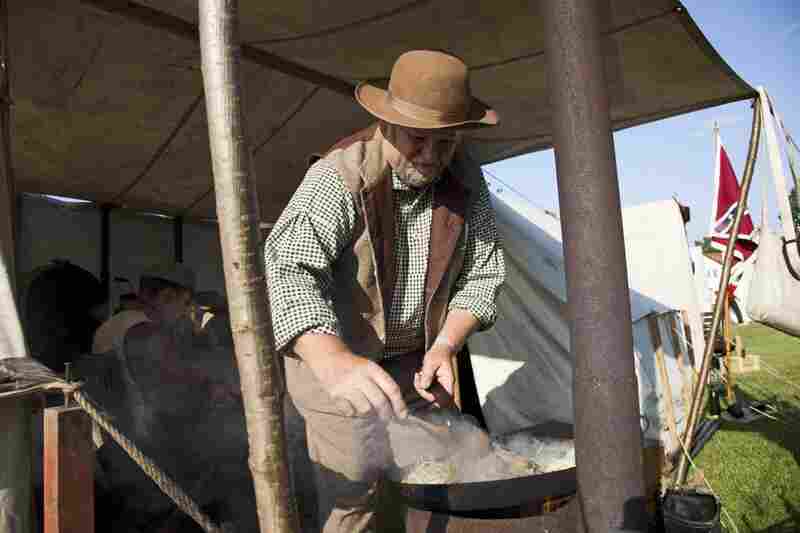 A Confederate re-enactor prepares a meal at a camp set up in the town of Hingham, England. Re-enactors came to Hingham for a festival honoring Abraham Lincoln, whose ancestor Samuel Lincoln immigrated to America from Hingham. It's hard to say whether American re-enactors would allow a digital camera on the 19th-century battlefield. But in the U.K., rules are a bit more casual. Because there's little personal connection to the Civil War, the British can have more fun with it. At least that's what Seawell's multimedia project suggests. Still, why on Earth would the British want to re-enact an American war? "Why not? It's jolly good poppy," says Philip Clark. A lawyer by weekday and soldier by weekend, he is one of Seawell's many interviews. "The American war is somebody else's war. Over in America, I've experiened the 'Your grandpappy shot my grandpappy' stuff. Over here ... we're all friends together." In the U.K., re-enactment in general is "a huge deal," Seawell wrote in an e'mail. "It seems that there are historical re'enactors of just about every war there." 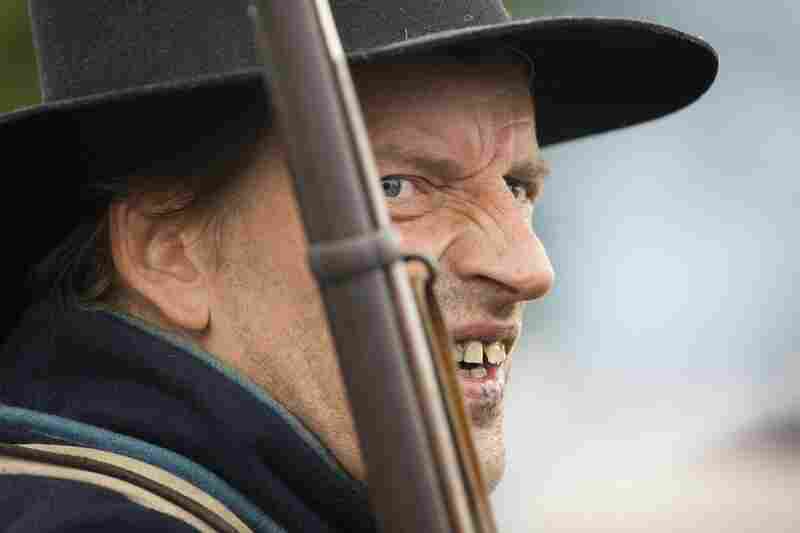 Plus, a lot of these "soldiers" grew up watching American Westerns, which often glamorize the Civil War era. Ray Thompson, for example, grew up watching them with his grandfather. "And I think it just burns into your psyche," he says in Seawell's documentary. "I've always been mad on it since I was about 6 years of age. Why? I don't know. I know nothing about the English Civil War — at all. But the American Civil War — I wouldn't call myself an expert, but I am obsessed." Oddly enough, the re-enactors seem to take sides somewhat arbitrarily. For one subject in Seawell's documentary, it's about the "glam" of the gray and nothing more. Even odder, you'll see Confederate flags flown around with nonchalance. Complex connotation and entrenched sensitivity are somewhat lost overseas. But that's exactly what the British like about it. "Over here," Clark tells the camera, "the English Civil War from the 1640s can get personal as well — between monarchists and parliamentarians. But over here — the American Civil War — we're not so partisan." American re-enactors might get up in arms (pun intended) about that, or about the fact that Seawell isn't using a wet plate view-camera. Or, who knows — maybe they, too, would just have fun with it. That seems to be what it's all about, anyway. 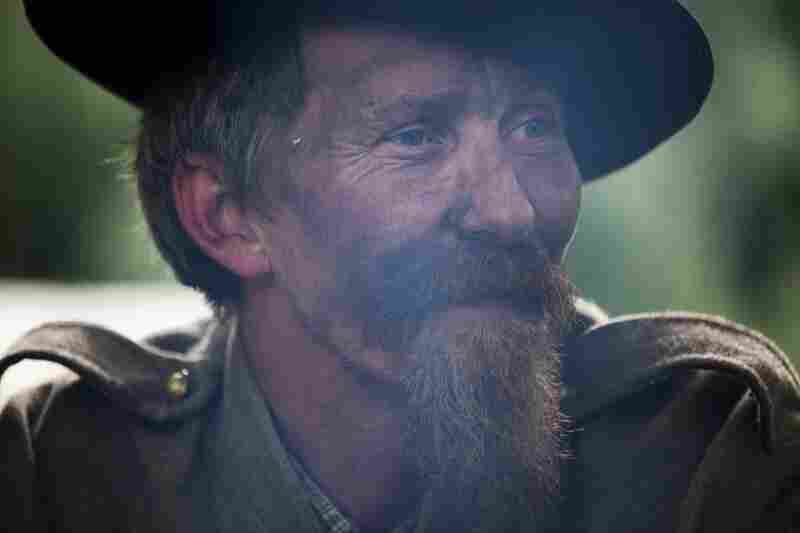 American Civil War in the UK - Occupation from Jay Seawell on Vimeo.